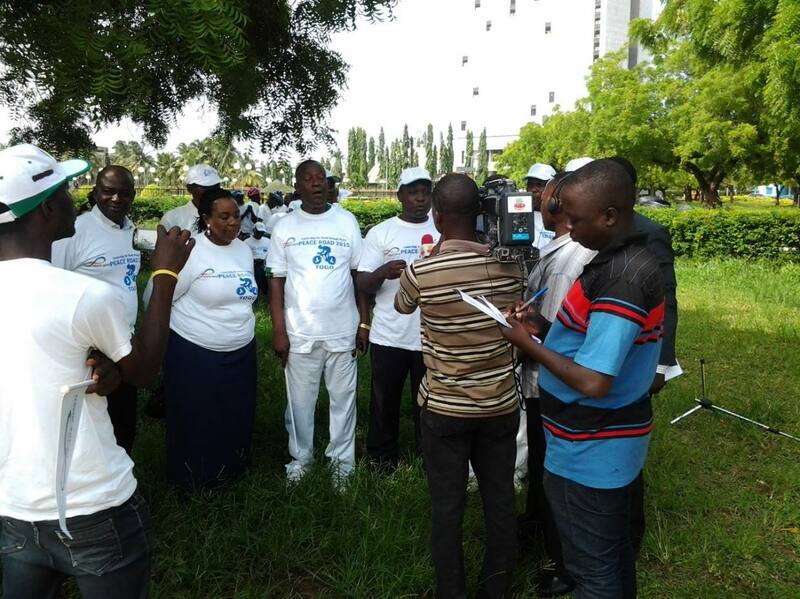 FFWPU Togo: Peace Road 2015 was held in Togo on June 12, 2015. It was on June 11 that the representatives of Togo met representatives of Peace Road Benin at the border to receive the Peace Road flag. 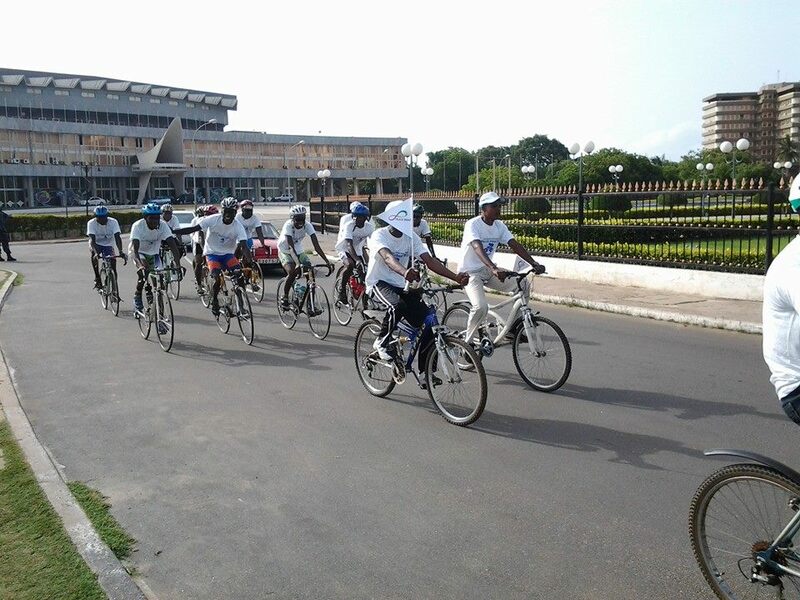 The Peace Road launching took place at the Lomé City Hall. Ambassadors of Peace, Parliament members and FFWPU, UPF, YFWP and WFWP members participated at the event. 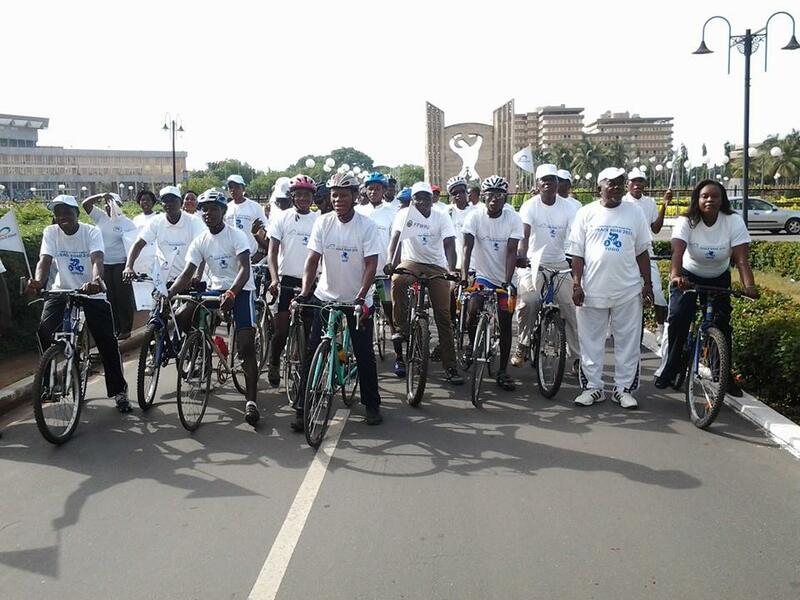 At the gathering, vice-president of FFWPU Togo read some part of True Father’s Autobiography, prepared the mind and heart of participant to begin the bicycle ride. National TV covered the event and made a wide report informing about our activities and True Parents Peace work in all around the world.